Some plays are also performed. Imagine infusing RAP, POETRY and SPOKEN WORD to a Broadway. Have you imagined it? Yes, that is what we are bringing to you. 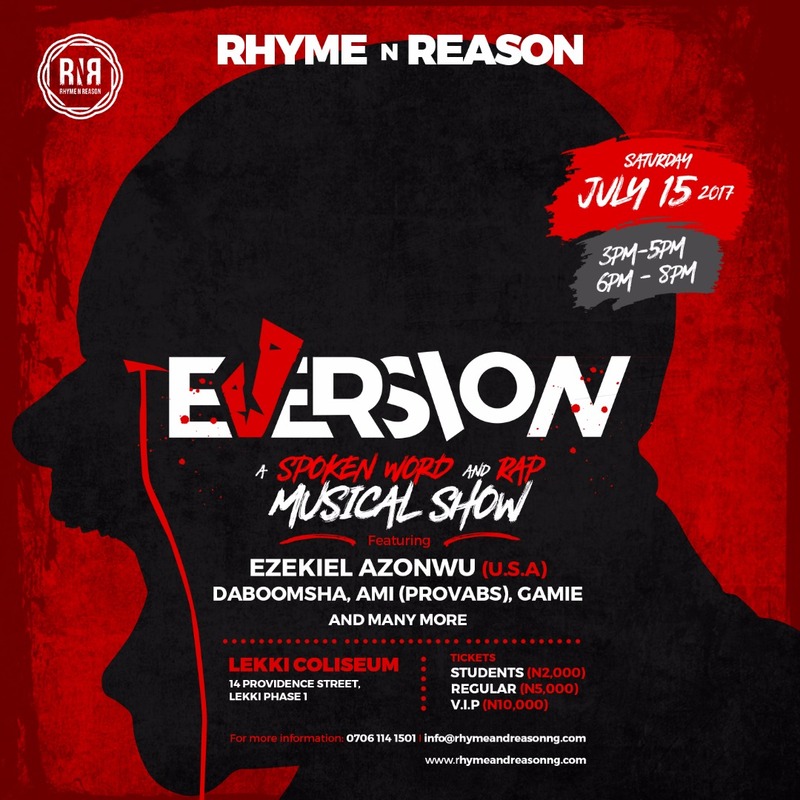 Rhyme & Reason is doing a Broadway show in RAP, POETRY and SPOKEN WORD tagged “EVERSION” this year. 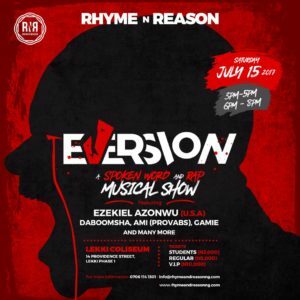 The ‘Rhyme and Reason Company’ is a youth focused organization with a goal of deliberately creating wholesome content and opportunities for youth development and expression, especially in the Arts. Over the past three years, with a focus on Spoken Word, Poetry and Rap Music, we have successfully hosted two first-of-their-kind concert events featuring local and international artists, to the appreciation of over 2000 youth. We are bringing to reality this year’s project, another first-of-its-kind, ‘Broadway style production in prose’, featuring Spoken Word, Poetry and Rap.